This innovative solar phone charger will power your phone by harvesting energy from the sun during the day, storing it in its internal battery and then charging your phone any time of day or night. Designed and engineered in our facilities in the United Kingdom, the Power Curve� includes special batteries that perform well in higher temperatures as seen in Africa, India and other warm climates throughout the world. 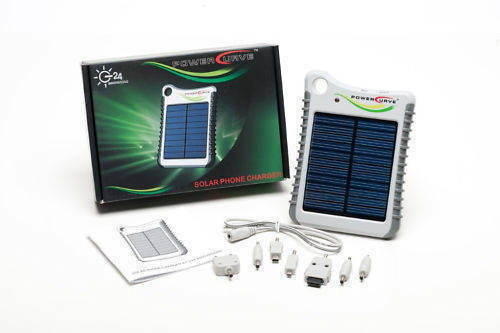 The Power Curve is designed to be an easy to use multi purpose solar charger. The product is designed to function well in the sun and also be pre-charged with a supplied USB connection. -Charging Its Internal Battery provides you power when you need it.